Lineage. Constituted as 130th Troop Carrier Squadron, and allotted to West Virginia ANG and extended federal recognition on 1 Oct 1955. 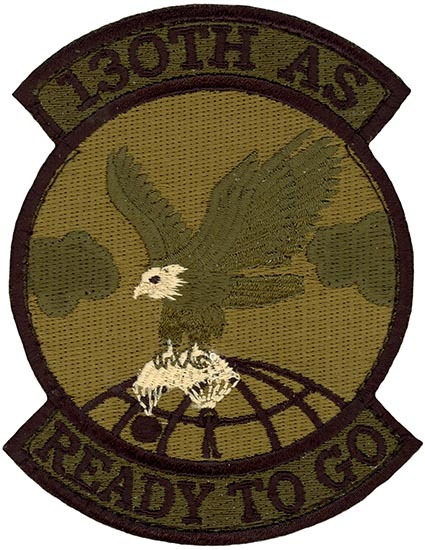 Redesignated: 130th Air Commando Squadron on 1 Jul 1960; 130th Special Operations Squadron on 1 Jul 1968; 130th Tactical Airlift Squadron on 1 Jul 1975; 130th Airlift Squadron on 16 Mar 1992-. Aircraft. Hu-16, 1955-1960; C-46, 1955-1960; C-119, 1960-1975; U-10, 1960-1975; C-130, 1975-1986; C-130, 1986-. Operations. Mission primarily Air Commando special operations missions and trained with the active duty 1st Air Commando Group. Became tactical airlift unit, with the Special Operations mission becoming secondary with the end of the Vietnam War. Provide combat airlift to our state and nation. 130th TAS combined with the 181st TAS, TX ANG to form the 1630th TAS (Provisional) in Oct 1990 in support of Operation Desert Storm and released in Jun 1991. Supported Operation Provide Promise, several times from Apr 1992 Oct 1998; Operation Operation Support Hope, Aug 1993; Operation Southern Watch, Jan-Mar 1996, Apr-Jun 1998.